The number of bicyclists killed on U.S. roads continues to increase even though motor vehicle fatalities have remained virtually the same, a new report says. According to a new report released Monday by the Governors Highway Safety Association, bicycle deaths jumped 16 percent between 2010 and 2012. During the same time period, the number of drivers killed on U.S. roads increased just 1 percent. The report also noted that in 2012, at least two-thirds of fatally injured bicyclists were not wearing helmets and more than a quarter (28 percent) of riders age 16 and older had blood alcohol concentrations of at least .08 percent. The report's author, former Insurance Institute for Highway Safety Chief Scientist Dr. Allan Williams, said the latter statistic was particularly notable. "The percentage of fatally injured bicyclists with high BACs has remained relatively constant since the early 1980s and did not mirror the sharp drop in alcohol-impaired driving that occurred among passenger vehicle drivers in the 1980s and early 1990s," Williams said. 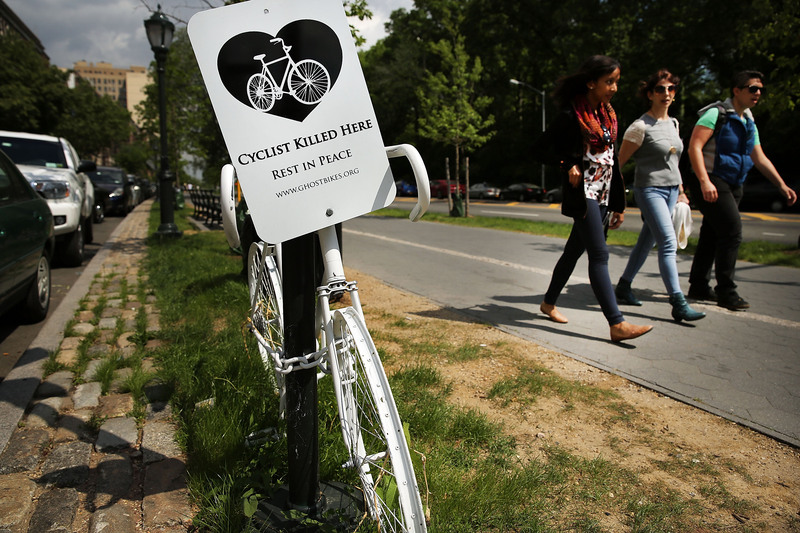 The report also uncovered some demographic and geographic trends related to bicycle deaths. Most notably, 84 percent of bicyclist fatalities in 2012 involved adults 20 and older; in 1975, these adults represented only 21 percent of bicyclist fatalities. The report found that the majority of bicyclists killed (69 percent) were riding in urban locations in 2012. In the same year, six states - California, Florida, Illinois, New York, Michigan and Texas - represented more than half (54 percent) of all bicycle fatalities. "These are high population states with many urban centers and likely reflect a high level of bicycle exposure and interaction with motor vehicles," Williams said.